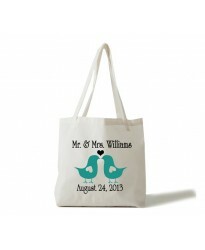 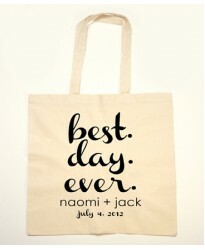 If you are looking for tote bags for wedding day or party then we have a huge choice of designs which you can select from and have the base design custom printed with your text. 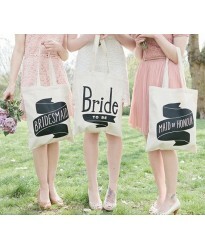 We offer a huge choice of colours and styles of bags with printing on one side or both sides of the bags. 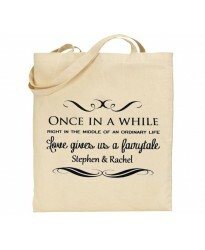 If you need another design printed then email us the artwork for a quote. 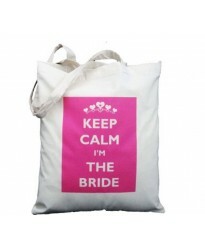 We offer great designs for bulk orders so email us today for a quote. 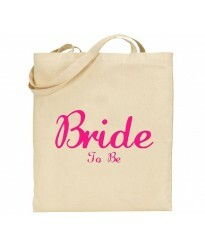 Cool 3 optional bridal tote bags to choose from This bridal bridal tote bag comes with a ch..
Best day every text on personalised bridal tote bag This tote bag has a very cool design of text ..
Fairtytale theme tote bag with your custom text The bridal tote bag features a cool theme in..
Keep calm I am the bride with personalised text This is a very classic keep clam design ide..
Mr & Mrs bridal tote bag with bird printed and your custom text Bridal Bird theme Mr & Mr.. 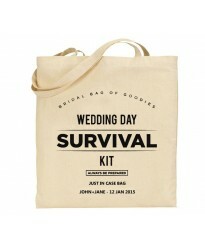 Bridal Survival Kit Tote Bag with your custom text​ This bridal survival Tote bag are very .. 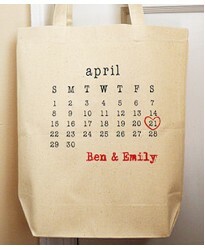 Bridal tote bag with bride to be text in italics This is a brides tote bag with bride to be text ..
Calender print bridal tote bag with your custom text This a very cool bridal tote bag with a cale..